Animation is often dismissed as nothing more than media produced for kids. Oftentimes people forget animated films as their favorites, or even feel ashamed for liking them. Singing songs from old Disney films is a guilty pleasure, crying during one is an embarrassment. Many insist that cartoons are for children, and that they don’t like animated movies. Animation isn’t a genre, it’s a medium. Animated films can’t be generalized like Rom-Coms, Horror flicks, or documentaries. The term animation doesn’t depict the plot line, characters, or subject. Instead it describes how a film is made and looks. It’s unfair to group films like Pixar’s Coco alongside Wes Anderson’s Fantastic Mr. Fox, just as it would be to group Girl’s Night with Citizen Kane. Animation can refer to a number of things. Like any film, our eye captures the change of hundreds of thousands of millions of photos as motion. With live action films, these are photographs of objects we can see with our own eyes. Animation, however, can use the more abstract: hand-drawn images, stop-motion (like clay), or computer-generation. This allows for imagination to create what our world doesn’t. It would be nearly impossible for a live-action film to create a film like Ratatouille, where you follow the scurrying life of a rat who wants to cook. Other films may be able to give an equally inspiring message of dream-following, but there is no way a camera could follow a rat riding a book as a boat through sewers. That’s the magic of animation. While animation is known for capturing the magically unreal, what is truly impressive is the reality that grounds it. Animation has been around since the origins of film. Some of the original black and white films, like La Lumière, use stop motion animation to allow actors to fly on a rocket to the moon. Yet it took Walt Disney and his team of animators to truly popularize the animation we know today. Laugh-O-Grams brought a real life girl, Alice, to make-believe worlds created by animators. 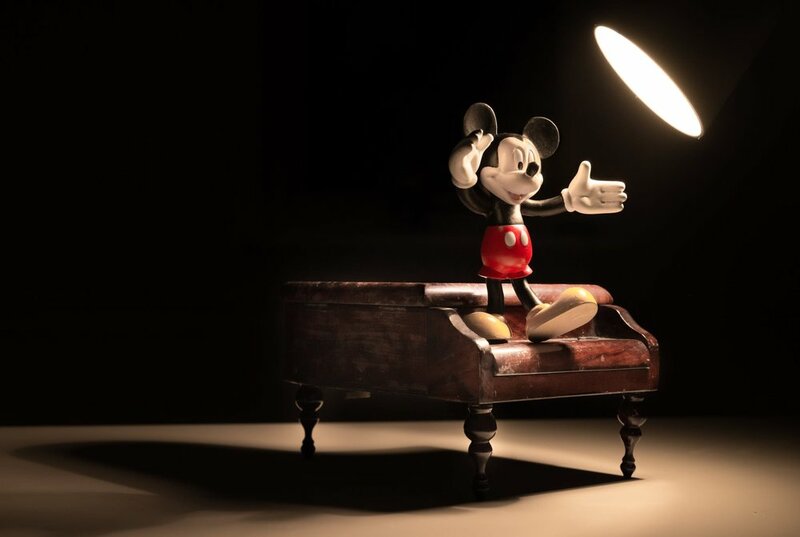 Mickey Mouse and his friends quickly became internationally known, following the release of hundreds of short films. Disney Studios eventually worked towards Snow White, the first full-length animated feature film. While Disney continued as the forerunner in the public eye for animation, Warner Brothers also popularized Looney Tunes, animated shorts shown before full-length live action films. By the 1990s, animation began to utilize the progression of computers. Primarily hand-drawn feature films would use computer graphics for key scenes, which slowly progressed into the entirety of the film. The association of animation with children formed not long after animated films became a norm.. Kids do seem to prefer animated films; between the highlighting of animals, magic, and imagination, it’s much more stimulating and interesting to a child than your typical live action film. Yet animators rarely, if ever, create these films for children. They tell stories they’re interested in -- they create worlds from their own adult minds. Animated films typically take about 5 years to produce, from start to finish. Like with any film, it takes time to create and lock down a story. Yet what makes animation exciting and impressive is what follows: the creation of a whole new world. From characters to backgrounds to sets, literally anything can happen, and it can look any way. From animals to ogres to emotions, new worlds are literally at the animator’s fingertips. Enjoyment from animated films does not stop at the level of a child.. Animation is difficult work, and meant for everyone. Enjoying animation isn’t childish, it’s appreciating a craft. Elie Docter is an undergrad student at New York University. She loves animals, nature, and all things comedy.